These leaf place markers are so cute and easy to make. A place marker simply allows you to put each person at a specific place at the autumn-themed or Thanksgiving table. Fold the 5″ x 3″ pieces of paper over the tall way, so the finished pieces will be 2-1/2″ x 3″. Use the Bone folder to score down the inside of the fold. Fold the 4-2/3″ x 2-2/3″ pieces of paper over the tall way like above. Again, use the Bone folder to score down the inside of the fold. Place an adhesive square at the back top and bottom sections of the 4-2/3″ x 2-2/3″ pieces of paper, and attach this paper to the front of the larger piece so the scored lines line up. Fold the finished product along the cored line to be sure the card folds properly while being able to stand on its own. Place an adhesive square to the back of a paper leaf or other leaf embellishment, and place it to the left or right side of the place marker – leaving enough space on the smaller piece of paper to write the person’s name. Using the pen, write a guests name on each. Open the card. At the top center of the inside, place a small leaf sticker. Write ‘I am thankful for:’ just under the leaf sticker, and the year at the bottom center. When putting the place markers on the table, set a pen next to each. Before enjoying your meal, have each person think about what they are most thankful for and write it down. Make all the place markers the same, or spice things up a bit by making each a little different. This project is great for using up scraps, and doing so will allow you to save money. Rather than having guests write what they are thankful for inside the place markers, write what you are thankful for that has to do with each of them. Or, leave the inside for them to fill out, and write a short note about what you are thankful for about each on the back of each. Mini pumpkin place markers are so cute and easy to make. A place marker simply allows you to put each person at a specific place at the autumn-themed or Thanksgiving table. Place an adhesive square to the back of a pumpkin, and place it to the left or right side of the place marker – leaving enough space on the smaller piece of paper to write the person’s name. Open the card. At the top center of the inside, draw a little pumpkin. Write ‘I am thankful for:’ just under the pumpkin, and the year at the bottom center. Shopping at a farmers’ market is a lot of fun. They offer many items and a lot of the fresh produce sold at these events is very reasonably priced, if you know when to shop. I shop in Orono, Maine, because it is close to my home. This makes it easy to purchase fresh produce and other needs from a local source. Granted, these farmers do not generally live right down the street from us. The markets allow various farmers to come together in one place for us to visit once or twice per week. This saves fuel in two ways: 1) Products are not being shipped in from other states and/or countries, and 2) all farmers’ market customers do not have to travel here-and-there-and-everywhere to purchase state grown products. I’ve noticed that when I visit the market an hour or so before they close, I can usually get even better deals on the fresh produce. Why can you get better deals at the end of the day? Because the farmers don’t want to have to take the fresh produce and baked goods, or even the frozen items, back home with them if they can help it. They grew and/or made these items to be purchased, not to be brought back home. The products may not last until the next farmers’ market, so the seller may be more apt to bargain toward the end of the day. Our local farmers’ market has more than just fresh produce. I’ve seedlings, soaps, homemade jams, jellies, butters, pies, breads, and more. Even frozen seafood and dried herbs. Last year, someone was selling homemade, organic dog treats. These wonderful products are just what I’m looking for. I find that almost all of the products offered at a farmers’ market are organic. If an item is not organic, I can choose not to purchase it. I want to purchase as many natural, organic products as possible, so this is a very attractive reason for me to shop at the farmers’ market rather than the grocery store. I also like the fact that the products are made and/or grown in my home state. 1. Reusable shopping bags, which you will want an abundance of. 2. The knowledge of what you need, and how much you’ll be able to use before your next visit. 3. The knowledge of how to preserve and/or store anything you are able to get a good price on. You don’t want to stock up on anything that wont last until you can eat or use it up, but you’ll want to take advantage of good deals on the items that will last. This will save you money in the long run. I’m now going to offer you up an assignment. I’d like for each reader to visit a nearby farmers’ market. Spend some time there. Ask about the products that are of interest to you. Find out if they are organic, if the sellers are willing to bargain at the end of the day, and how often the sellers attend that particular farmers’ market. When you return home, comment here to let us know how things went and what you learned. Yesterday I posted a New Year goal about how I’m getting back to eating healthy after getting off track during the holidays. Today I want to let you know about another goal, and my theme word for the year. Yup, by the end of the new year, I intend to be far more organized. And not just in the kitchen or with cooking. I’m going to be organizing most aspects of my life. This is huge for me, as I’m not an organized person. But it is necessary, especially when living in such a small space. You see, I rent a room. In that one room, I have sections: Bedroom, living room, office, pantry, kitchen. I’ve started the process, but still have a long way to go. For the kitchen/cooking/pantry part of the organization goal, I’m looking to streamline some things, and to get things in order. I’m turning my closet into a pantry. This closet is not huge, but it’ll hold cleaning products, personal hygiene needs, and food items. I would also like to get a cabinet to put next to my door that will be a party of the pantry system. I’m looking for a way to organize my spices and cooking/baking utensils so they don’t take up cupboard or counter space. Any ideas? I want a couple of drawer units and a cupboard unit for dishes, cookware, etc. It can’t be too tall, because my toaster oven needs to sit atop the units. I’m thinking cube units will be the most efficient way to go. I also want a new dorm-size fridge. One with a separate freezer. The little freezer in my current refrigerator holds next to nothing, and doesn’t keep food frozen well. The freezer in the fridge that I want is a little bigger. I’ve already learned I don’t need much refrigerator space. This will save me money in my future home. I wont need to buy a huge refrigerator, and a small one doesn’t use a much energy. I’ll keep a spare in the pantry for holiday use. Putting together a system for tracking the recipes I want to try, and the recipes and tips I want to keep, is necessary. Any tips for these projects will be greatly appreciated! Take inventory of the kinds of things you put in your kitchen and pantry. Is there a better way to organize things that will help to streamline your meal prep activities? What do you need to get to most often? And what do you need only occasionally? Make a list of how you might better organize these areas. Or draw a sketch. Do you need organizers for the cupboards, drawers, pantry, and refrigerator? What might work in these areas? Make a list of things you can pick up to help get your space organized. Print off a Master Inventory List. Print off a Master Pantry Shopping List. Go through all those loose recipes you have stashed here and there, and decide which ones you will really be trying. Organize them, and get rid of the rest. Start organizing! Don’t wait, or you might not get to it. Plan to do something each week until you’re done, or plan a weekend to do everything. Shopping yard and garage sales. Utilizing clearance and other sales. Checking out local thrift stores. Shopping at the local dollar stores. I must have gained 15 pounds this month, and I feel crappy to boot. I can’t claim to eat healthy 100% of the time, but usually I eat far healthier than I have in the past couple of months. The holidays are rough, that’s for sure. All the delicious foods are so hard to say no to. What is healthier for me? A mostly Paleo diet. Mainly vegetables, protein, and healthy fat, with a little fruit thrown into the mix. This is not a diet as many people use the term, but a lifestyle. Remember, a diet isn’t something you go on. It is how you eat daily. 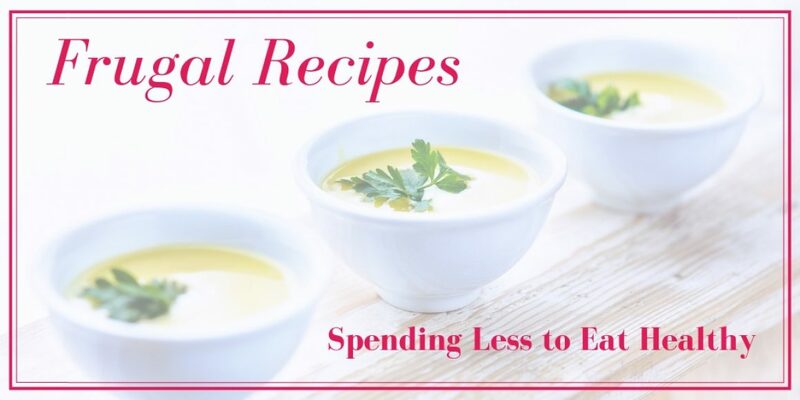 Now, a Paleo lifestyle is not cheap, but I am trying and learning new things to help me save money when possible. Usually my hours are cut back during the winter months, meaning my food budget is next to nothing, but this year my boss tells me I’ll be working 40 hours each week. If this is true, I’ll have more money for groceries. Thank goodness! More money for experimenting with recipes. More money for regular meals. More money for healthy food, and not having to eat all the grains, sugars, and other stuff that causes me to gain weight. I lose weight and feel so much better when I’m following a Paleo lifestyle more closely. What is healthy for you and your family? That depends on your health concerns and other things. Your doctor or a nutritionist should be able to help you figure it out. You owe it to yourself and your family to figure out what healthy is for you, and to change your recipes and menus up accordingly. January: Do you really need a bunch of fruit every single day? With the Paleo lifestyle, and a need to lose weight, I’ll only be having one fruit a day. Fruit has plenty of natural sugars, and I don’t need that much sugar when I’m trying to lose weight – natural or otherwise. If you’re not trying to lose weight, then more fruit is likely fine. February: Are you getting enough vegetables? Even if you get two vegetables at the three meals every day, adding a side salad to lunch and dinner will give you a nutritional punch. These don’t have to be huge salads, and will help to make sure you’re getting enough produce. March: Water is so important! Try drinking a lemon water each morning. Then a water with lunch, and one in between lunch and dinner. This may enough for you. A good rule of thumb with water is that you should be able to get all your food in throughout the day. If you’re drinking a lot of water each day and not feeling hungry enough at all three of the basic meals, you are likely drinking too much water. Eight glasses of water a day is not for everyone. Keep in mind, you’ll need more water during hot months. April: Is juice necessary? No. It’s far better to have the fruit than the juice. If you really think you need the juice, be sure it has no added sugars. One-hundred percent juice is the way to go. May: Is dairy really your friend? Being on the Paelo diet, you eliminate a lot of foods from your diet. Then you can reintroduce some things. During this process, I learned that milk and yogurt are not my friends, but I can tolerate cheese. However, cheese is not really part of the Paleo lifestyle Let’s just say I haven’t given cheese up completely, but I limit it. I rarely ever have it. June: Did you take milk out of your diet and want to replace it with something else? I didn’t think I would like them, but I now drink almond, coconut, and cashew milks. Try one. One serving a day is good. July: Cut out processed sugars, for the most part. I do use organic honey, maple syrup, and molasses (on rare occasion). I don’t use sweeteners a lot by any means. August: Corn is not a vegetable. Not really. It is a grain. Please treat it as such. September: Rethink grains, particularly if you’re trying to lose weight. And don’t be fooled by wheat products. They may not be as healthy for you as they are supposed to be. Still want pasta, breads, and brownies? Think almond and coconut flours. There are non-grain options that taste great. October: While my favorite dessert item is not 100% Paleo/healthy, it is tasty and easy to make. If you have the money you can get healthier versions of chocolate chips, but I don’t have that kind of money. This treat keeps me from eating a whole slew of very-bad-for-me desserts, so I’m keeping it. No-Bakes: Melt chocolate chips with a tablespoon of organic coconut oil. Chop almond slivers up a little finer, and give some dried fruit a chopping as well. Add these two ingredients along with unsweetened coconut flakes to the melted chocolate. Make sure all the goodies are coated, then drop by the tablespoon on to parchment paper and allow the no-bakes to set up. Yum! Store in a container in the fridge. I’m sorry, I don’t measure these ingredients. November: Be sure each meal and snack has a vegetable, some protein, and a little healthy fat. A good snack might be a carrot or celery, a hard-boiled egg, and a tablespoon of cocoa bliss. December: Make sure each get-together includes a vegetable platter or two! If you are cutting back on fruit intake, you’re saving a little money. You’re also saving money on processed foods that can go toward healthier foods. I can’t afford all organic foods, by any means, but I do buy organic when I can. I rarely ever am able to afford organic meats. I don’t let it bother me. I’ll still be eating healthier than when I’m consuming all the dairy, sugar, and grains. Peanuts are not nuts. They are legumes. If you are on the Paleo diet, you aren’t allowed legumes. You’ll save money by not buying peanut butter, beans, etc. Figure out what healthy brands of foods are sold at the stores you frequent, then go online to look up their websites. Sign up for coupons. Use coupons only when it will save you money. Combining coupons with sales saves even more money. Wal-Mart has organic herbs in pots. Place them on a windowsill and use them in place of dried herbs. This will save you a lot. Start an organic garden in the spring. Save leftovers, even if it is only a tablespoon or two of something. Freeze what you wont use right off.